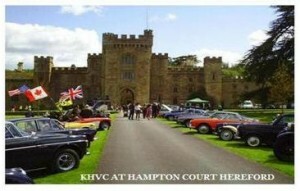 The Knighton Historic Vehicle Club was formed in April 1999 and the first meeting took place in the Knighton Hotel with 7 members signing up. The club now has over 80 members, with membership increasing annually. The club organises social functions, fosters friendship between members, and furthers interest in historic and classic motoring. The club has a successful newsletter, classic tours, monthly club meetings, and events diary, a Christmas dinner, and charity fund raising events. We also attend local shows in the beautiful Mid Wales borderland , ideal to drive to in your classic cars on the uncluttered local roads. The club is run by volunteers, who make up the Officers and Committee. Events are organised by an excellent band of supporting members who are the heart of the club. We welcome you to view our website and hope you will enjoy browsing the various pages of information and photos. Newsletters – about 4 a year. Classic Tours – from 50 to 130 miles and week long trips too. Membership includes spouse or partner. ALL THIS FOR ONLY £15 per annum! Our Club Meetings are held at lunchtime on the 2nd Sunday of each month throughout the winter at various different venues and are informal and friendly. From April to October, members organise meets at different local pubs or venues. This gives us all an opportunity on a summers evening to get the cars out, have a drive, get together for a natter or be informed about something interesting and enjoy a drink and maybe a meal. 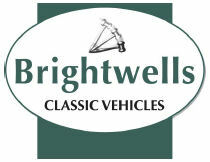 Throughout the summer we have a Club Stand at local shows and display our Classic Cars. Our Club Newsletter is packed with articles, pictures, facts and dates of events. Our website is full of regularly updated information as well as a gallery of pictures of our events.